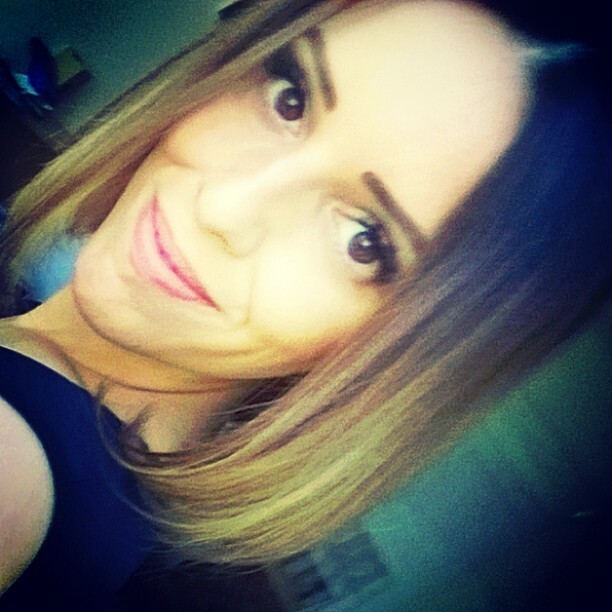 The new medium-length bob hairstyles are marvellous! They’re full of innovative Mob hairstyles with unusual textures and breath-taking hair color ideas. So check these medium hairstyles and plan your next makeover from some of the most popular hairstyles for spring/summer 2016! Golden-brown roots complement pale blonde hairstyles in a softer look for all-over blonde bob hairstyles for spring and summer 2016. Inverted bob hairstyles form the basis of many fresh looks this year with the new twist being pretty waves – between the smooth top and the dead-straight tips – adding fabulous volume and texture. Here’s a versatile shoulder length hairstyles‘ makeover with waves softening long, straight hair into something altogether more glamorous! 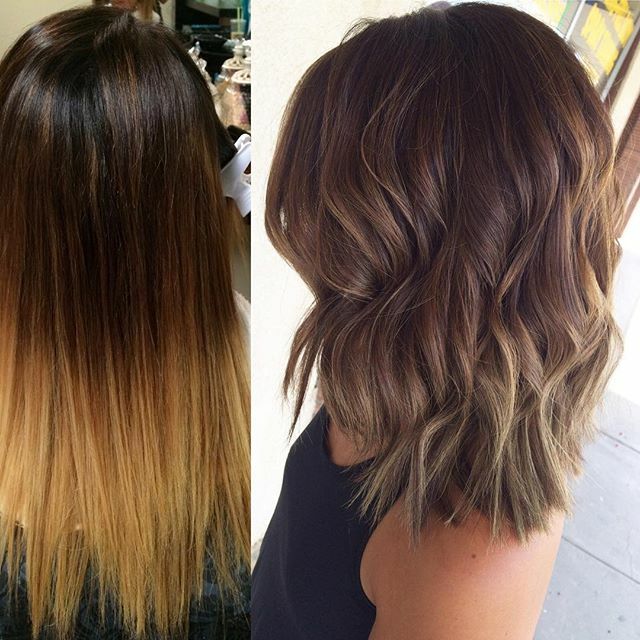 The stark ombré contrast is transformed with one of the exciting, new hair color ideas, mingling medium cocoa-brown with ash-blonde, applied in a subtle balayage/ombré technique. Coupled with gorgeous waves creating a diagonal line up to the crown, the result is a cute and popular hairstyles idea for a party, prom or special occasion! Suitable for medium to thick hair, this shoulder length hairstyle is the sophisticated sister of the hippy look! This is a lovely way to wear long hair loose as a daily hairstyle or for a party look, just add a dainty hair accessory. Even Prince William’s wife, Kate, has cut her long hair into a long bob hairstyle, to look more up-to-the-minute and stylish. The layers are long, which is good for medium to thick hair, with the tips carefully thinned to a slightly uneven texture. This is also a good way to wear long, fine hair as the lovely ringlety waves add volume. Shoulder-length hairstyles with waves suit oval, heart and angular face shapes, as waves soften strong features making flattering long bob hairstyles. Some of the most popular hairstyles for 2016 are the classic medium bob hairstyles that look great every day and are easy haircuts to manage at home. 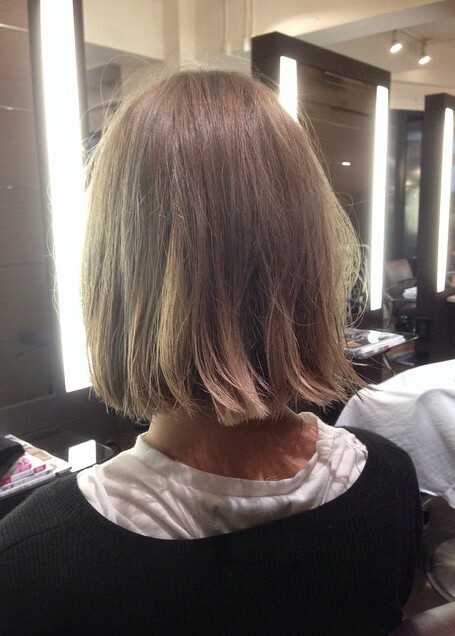 This same-length bob hairstyle shows natural medium-blonde hair, with a cute hint of pink at the back! On fine hair, opt for blunt-cut tips to add thickness or have fashionable, ragged-textured tips on thick hair. Classic medium hairstyles, finishing just below the chin, make great hairstyles for moms, teens and professional women as the length suits most face shapes. They’re also very versatile and popular hairstyles as you can add twisty waves, temporary hair-color or wear in formal and informal upstyles. This is a supercute medium hairstyles option for thick hair, which suits oval, round and heart face shapes. Hair swept over the crown from a deep side parting, breaks the symmetry of a round face. Sliced layers remove bulk and a curved bob hairstyle shape appears, thanks to inverted layers at the end of long, smooth sections. Added height from the lightly teased wave around the forehead helps lengthen the face and as this model has a heart face, notice how the curves on either side of the chin balance out the sharp angle from wide cheekbones to narrow chin. The softly flattering medium blonde shade moves from warm brown roots to a pretty all-over blonde in a very stylish Mob hairstyles‘ idea! 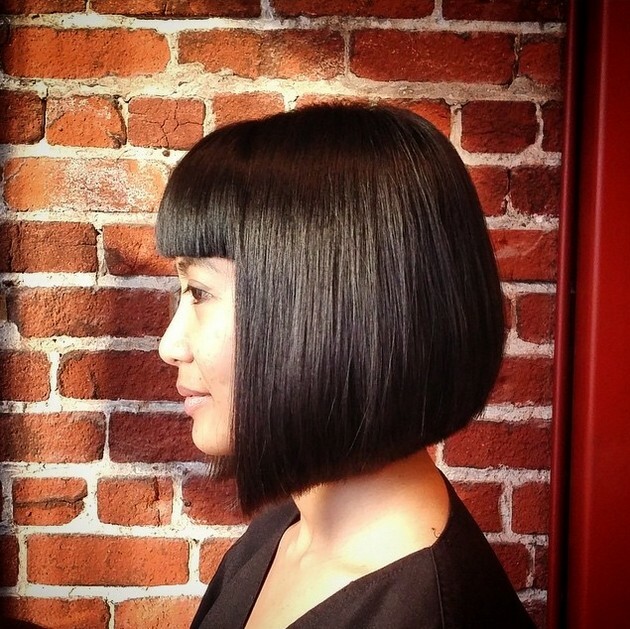 Casual elegance is easy to achieve on shoulder-skimming bob hairstyles like the one below. It’s yet another version of the versatile inverted bob hairstyles that are such popular hairstyles for spring and summer 2016. This mob hairstyle has blunt-cut tips that add strong lines and thickness at the ends of fine or medium hair. Shorter layers make it easy to get volume around the head before curving in to form part of the cute, waved section around the outline. 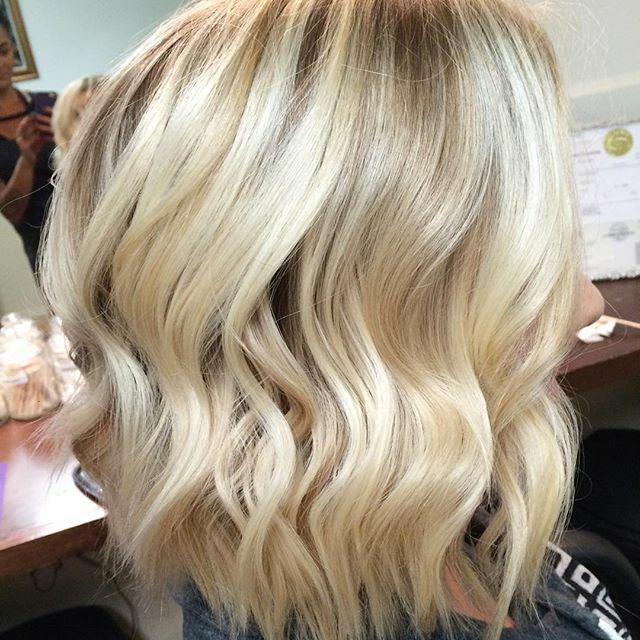 Blonde balayage is concentrated at the sides and tips, emphasising the casual waves and creating a soft frame for the face. Round faces look best framed by strong, straight lines, so the asymmetrical bob hairstyles 2016 are a great choice! 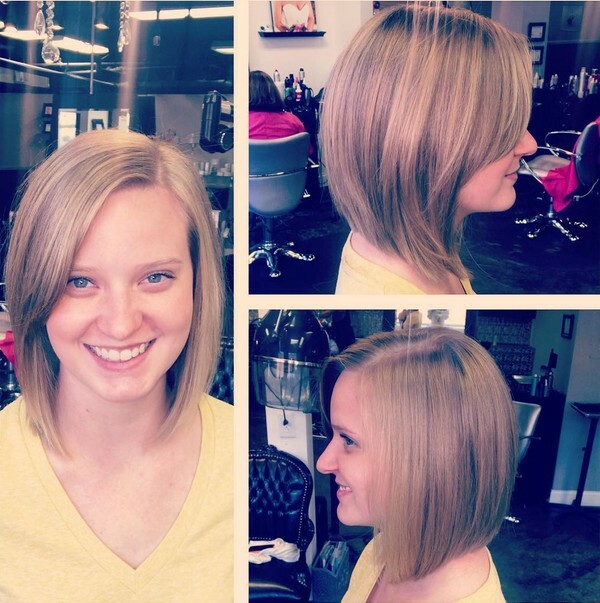 This shoulder-length hairstyles’ option looks simple, but it’s full of face-flattering features! A full fringe covering the forehead creates a nice diagonal line, leaving a little triangle of forehead on one side and covering just one eye-brow. Wide cheekbones can be ‘slimmed’ with sleek sides on medium hairstyles. Hair falling below chin-length automatically makes a round face appear longer, which is also very flattering. Ask your colorist for a shade to complement your eye-color, like this rich, copper hair color idea accentuates the model’s brown eyes! Medium hairstyles can be the perfect face-framing look for a round or oval face shape. This model has such a clear complexion that it makes sense to accentuate it with simple, medium hairstyles. To lengthen a round face add height, like this bare forehead with a quiff/wave above. Keep the sides sleek and accentuate the lips and a nicely shaped chin with a few shorter layers and textured tips that make the hair curve in naturally! 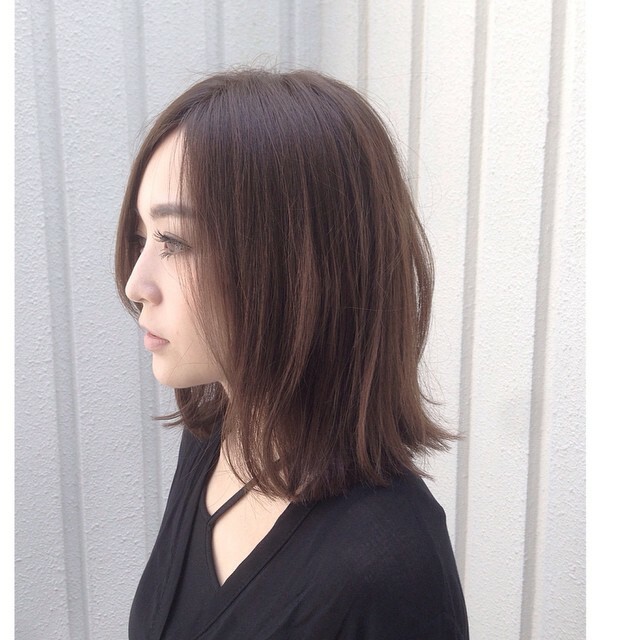 This style suits medium to thick textured hair. Hairstyles 2016: Centre partings on mob hairstyles suit oval faces best and create some of the most popular hairstyles for spring and summer 2016. 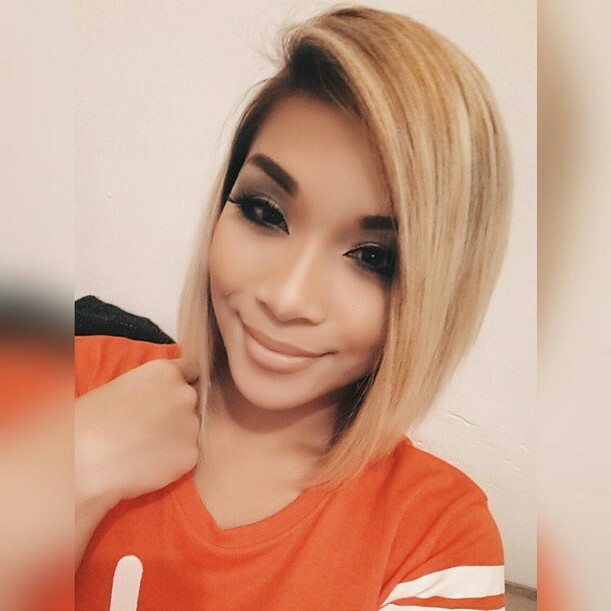 This bob hairstyles’ idea works on thick or medium hair. Long layers with inverse layering at the tips, shape the cute curves on each side of the chin. 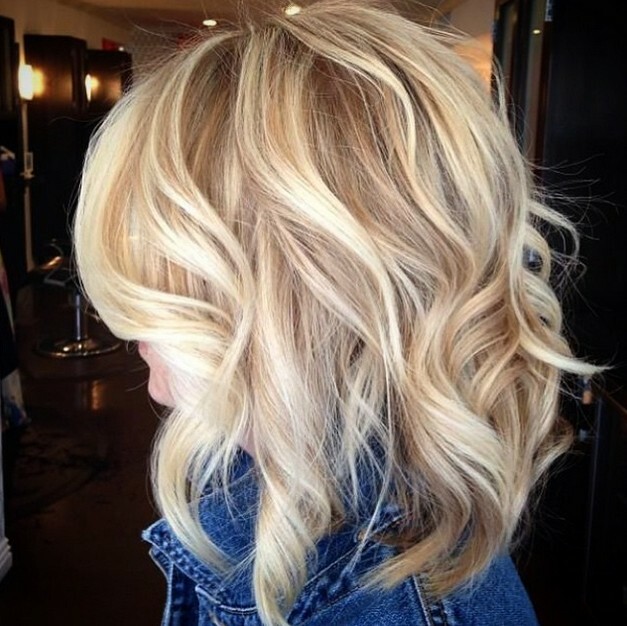 It’s a very chic hair color idea with medium-blonde balayage/ombré starting at eye-level, accentuating them beautifully. 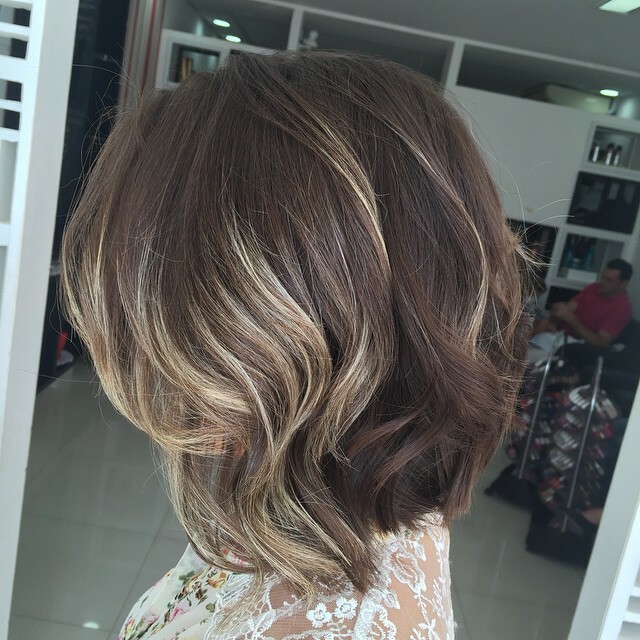 And we love the extra detail of the tips tinted brown – a new twist adding lots of texture to smooth bob hairstyles! If your long hair is starting to look boring, add some style and sophistication with this blunt-cut shoulder length hairstyle. 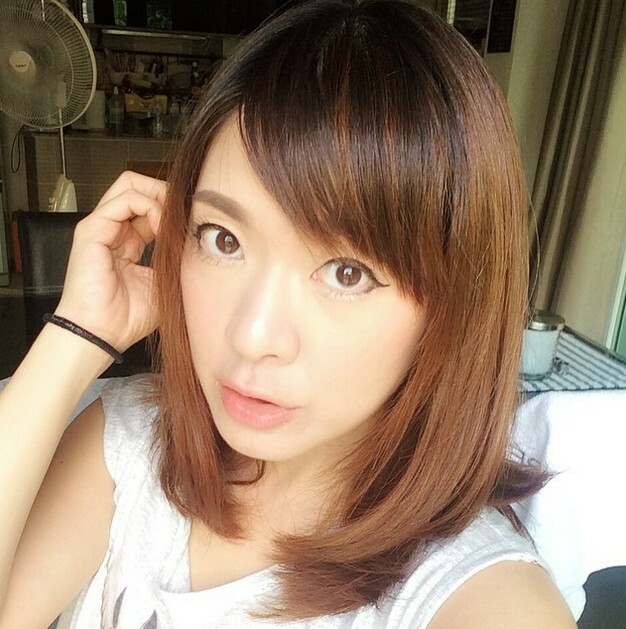 Suitable for fine to medium thick hair, switching to same-length long, bob hairstyles will remove those old split ends and make your hair look thicker and healthier. Straight medium hairstyles are the perfect base for cute, honey and caramel dual-highlights applied in random, different widths for a casual finish. The shorter lengths cut around the face soften the line and lightly flicked-out tips lift this simple shoulder length hairstyle into a very classy look! If you have a round or heart-shaped face, here’s a cute shoulder length hairstyles’ idea that will really flatter your face-shape. Deep-cut, heavy bangs break the symmetry of a round face and will cover up a wide forehead on a heart face. 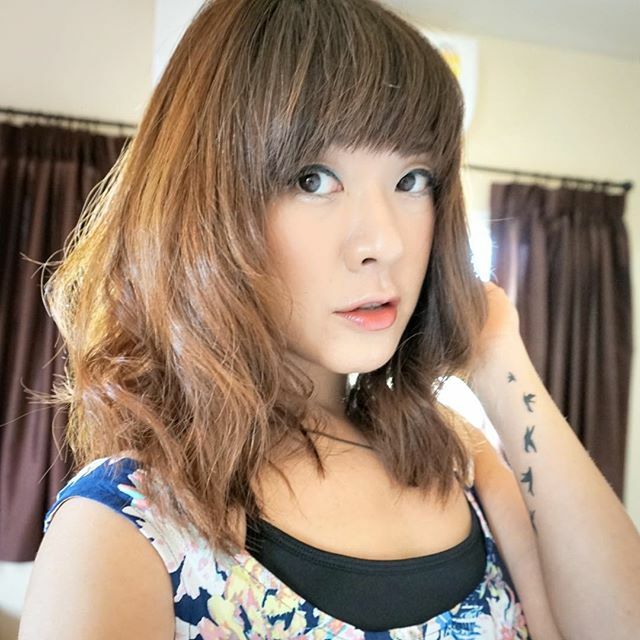 With the bangs abruptly graduated down to a longer length just covering the corner of the eyes, the widest part of the face at cheekbone level, looks narrower. If your chin is narrow, having a puffy wave on either side makes the chin appear wider and balances the face beautifully. The softly textured tips of the bangs and the gentle, natural waves ensure this casual look remains a popular hairstyles’ option for spring and summer 2016! Probably not this model’s favorite photo of herself, but this pic demonstrates the skill and artistic imagination of a talented hair stylist perfectly! An off-centre parting is a flattering choice for a face that’s between an oval and a round shape. A bare forehead helps lengthens a round face, along with mob hairstyles cut a few inches past the chin. 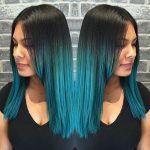 Notice how the sleek, long layers of this unusual, inverted bob hairstyles’ idea draw attention to the model’s pretty, blue eyes. And the most exciting new twist to this fresh, medium hairstyles’ design are the fabulous ‘arrow-tip’ textured ends adding lots of edge to a simple, but striking bob hairstyle! Hairstyles with all-over pastel-purple and pink shades are very popular hairstyles for spring and summer 2016, as the trend for fantasy hair color ideas strengthens each year. 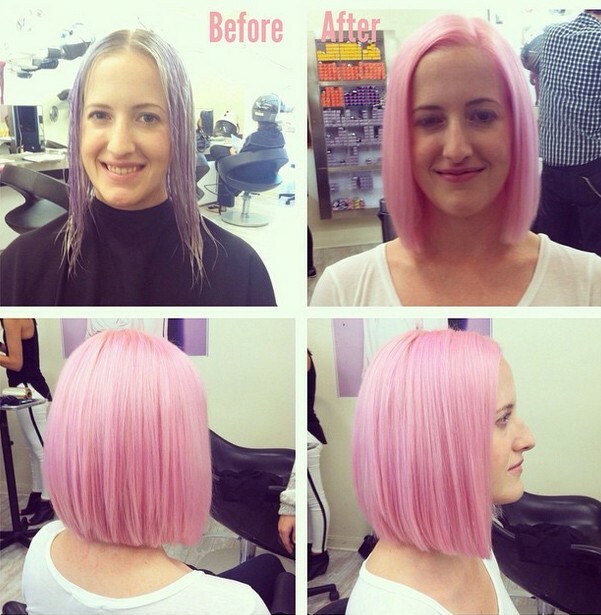 This great example uses a simple, elegant bob hairstyle on which to add a romantic, yet striking pastel-pink hair color. This is important for a balanced look that’s not too fussy. Suitable for thick and medium hair textures, the long layers are just slightly textured towards the ends to create a natural inward curve. The length just past chin and off-centre parting suit faces between oval and round and with the hair styled diagonally over a wide forehead – heart faces, too! Thick hair looks great in inverted bob hairstyles and with the weight of the hair accentuating the strong geometric lines, this medium hairstyles’ classic also flatters oval, round and heart face shapes. Thick, straight across bangs, cut to touch the arch of the eyebrows, break up the symmetry of a round face and cover a wide forehead. With a precise right-angle on each profile and the front cut just below the chin, this popular hairstyles’ idea always looks classy and projects a ‘well-organised’ image at work. There’s always something youthful about wavy mob hairstyles with twists on either side of the face. This is one of the most popular hairstyles for spring and summer 2016, because it projects such a jaunty, casual personality. 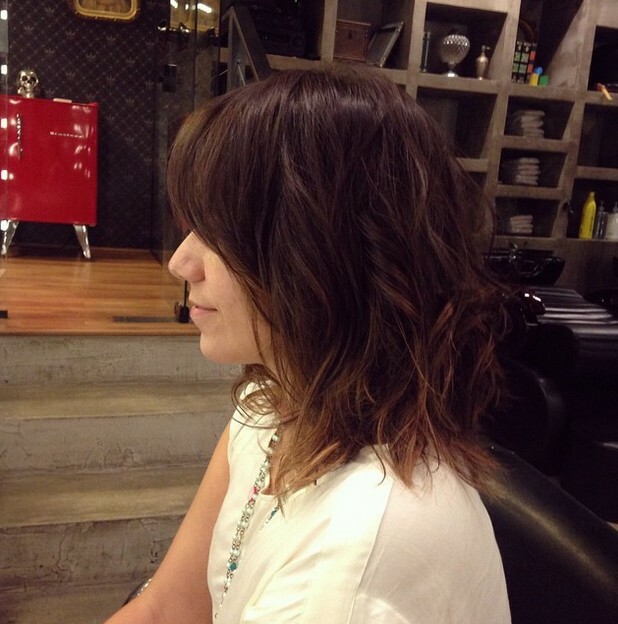 Today’s wavy bob hairstyles look even better when they’re lightly tousled and flicked-up – showing a carefree attitude. This fabulous fiery copper hair color idea looks great against a trendy black leather jacket or a casual denim shirt or jacket. Continuing the casual theme of many popular hairstyles for spring/summer 2016, this pale-blonde shoulder length hairstyles’ idea looks super-cool with a raised-collar trendy denim jacket. Thick and medium hair types are best for shoulder length hairstyles with long layers. But as this Mob hairstyle has a very light hair color idea achieved by bleaching, which thickens the hair-shafts, it could also be a good choice for fine hair. 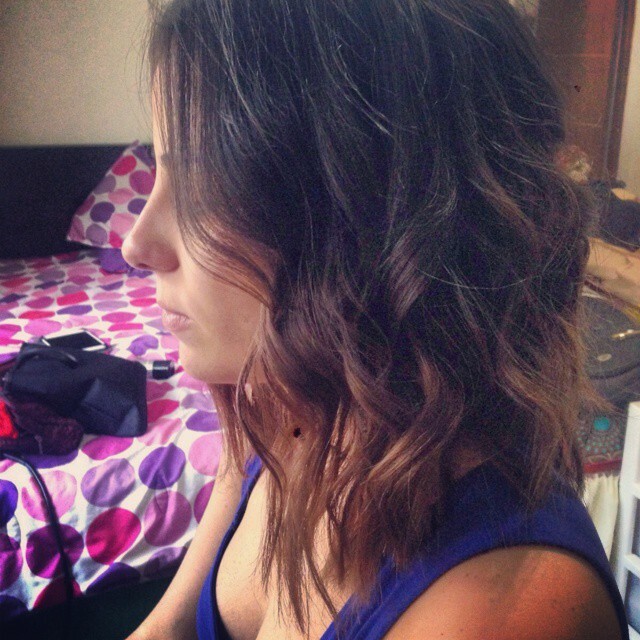 Waves and random loose ringlets also add lots of volume to fine hair. Just touching the shoulders, this relaxed medium hairstyle for women in a hurry shows off healthy hair in long layers. Needing little more than setting the off-center parting and giving it a brush-through in the mornings, this is another of the most popular hairstyles for spring/summer 2016. The newly fashionable neutral pale blonde shade is accentuated by the darker blonde color of the lower sections at the back of the head. Dark copper is one of my favorite shades as it’s a rich natural shade, which you don’t see very often. It’s a great hair color right now, bringing a touch of warmth to a pale complexion and definitely a popular hair color idea for spring/summer 2016! With a warm hair color, the style doesn’t need to be anything fancy and this messy shoulder length hairstyles’ option is the perfect way to update shapeless long hair. Twisty waves add volume and pretty, light-copper tips add a cute finishing touch to this trendy medium hairstyle. 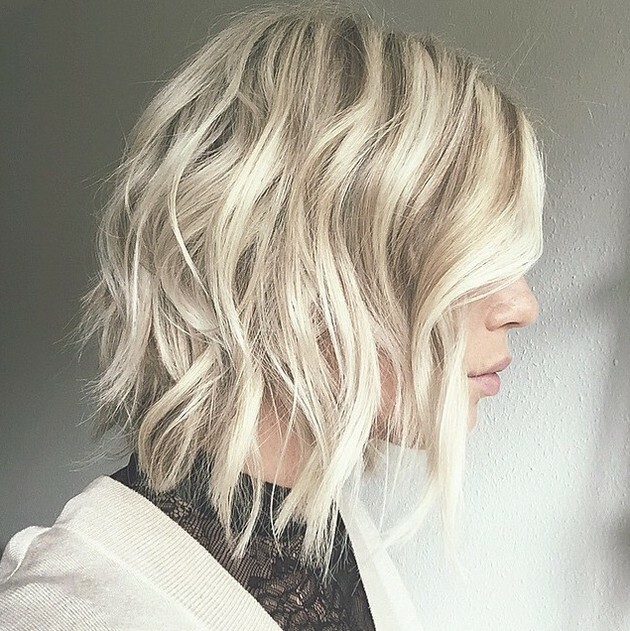 This inverted bob for thick or medium hair features the latest light, neutral-blonde shade that’s taken over from platinum blonde for spring/summer 2016. 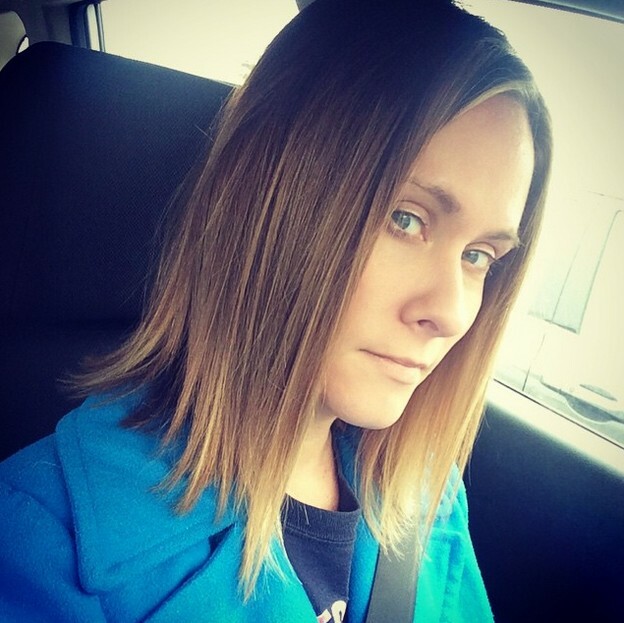 The latest inverted bob hairstyles have strongly thinned-out sections in the last two or three inches of the hair, styled in defined strands beneath softly-molded waves. 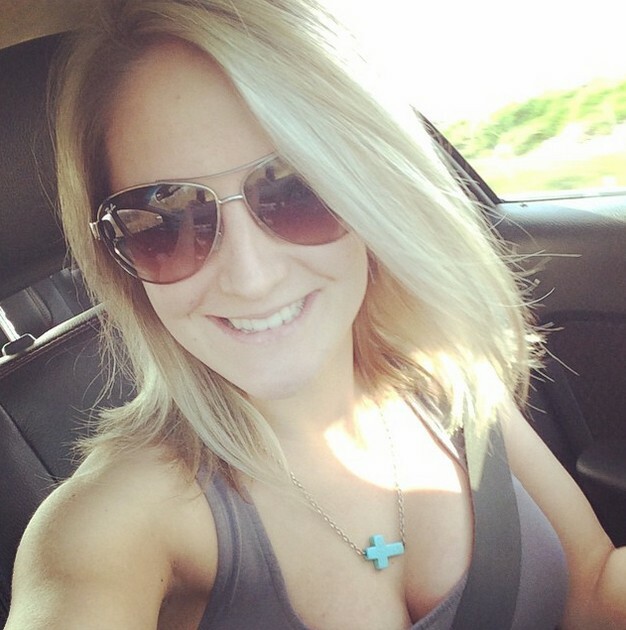 And it’s finally time to ditch the black roots and switch to a medium ash-blonde that’s a shade or two darker than the dominant hair color for a more sophisticated finish. If your long hair is getting a little ragged owing to exposure to very cold or very hot weather conditions, now is a good time to switch to one of the latest shoulder length hairstyles for spring and summer 2016. Medium and thick hair types look great in simple styles that frame an oval, round or heart shaped face. And cute flicked out tips bring medium hairstyles right up to date! Most inverted bob hairstyles are designed for thick or medium hair types, making use of the natural volume to create sweeping curves. But there are also some medium hairstyles with a shorter back that you can achieve very successfully on fine hair. This is one of the popular hairstyles for 2016 which suits oval, round and heart faces and all hair types, as it doesn’t rely on puffy volume for its attractive shape. With an off-centre, or deeper side-parting, the long diagonal bangs minimise a wide forehead and the profiles have asymmetric styling to add different textures to a simple, easy-style and very attractive bob hairstyle! 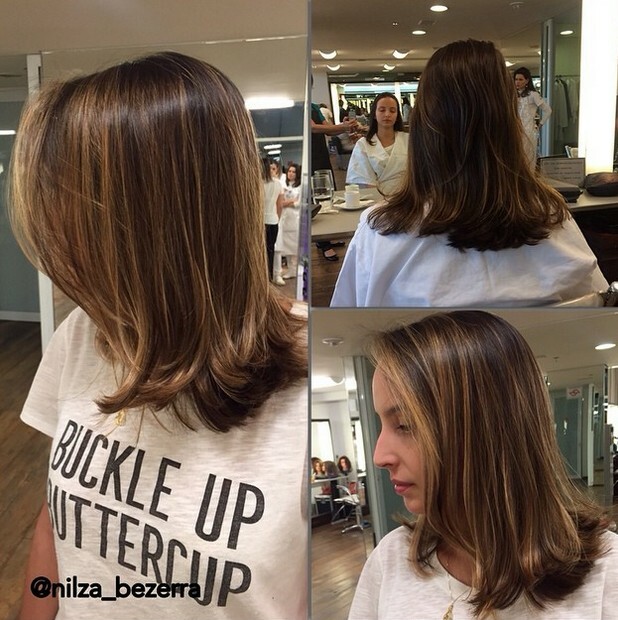 So – ready for your new look? 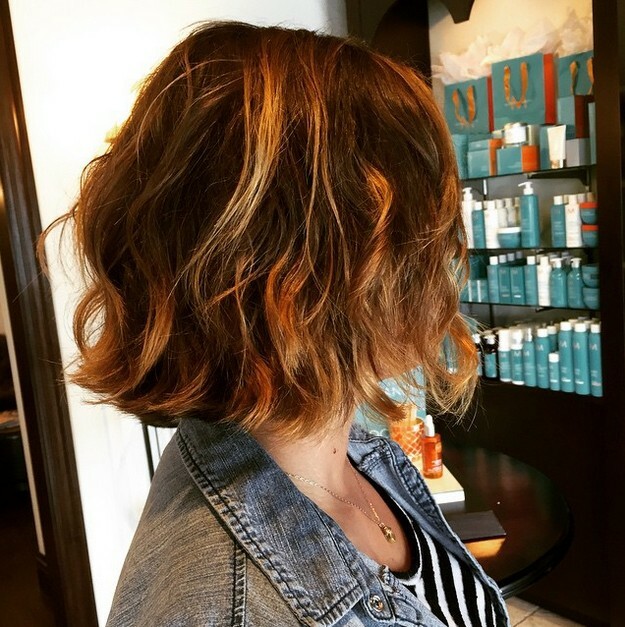 I hope you feel fully inspired and ready to book your next salon visit – armed with two or three of these fresh-start bob hairstyles or shoulder length hairstyles – for a trendy cut and color for spring/summer 2016! Do you love these medium hairstyles? Find more latest hairstyles on hairstylesweekly.com! 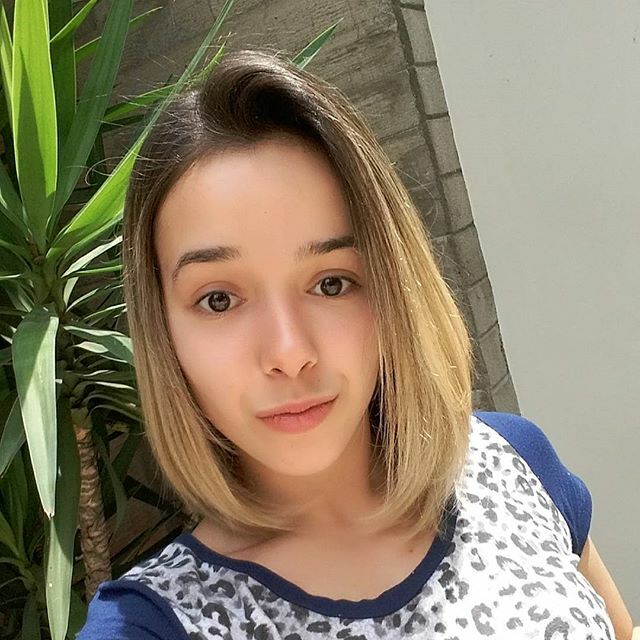 next post Cute Short Soft Wavy Hairstyle for Women – Really CUTE!